It’s not easy to find the sweet spot of setting boundaries and applying consequences without accidentally shaming our kids. Setting limits with compassion is so important for our children’s self-esteem, ability to set their own boundaries, and relationship with themselves. Simply put, children come out as a “blob.” They are wonderful creations made by God, but they know nothing about boundaries, or right from wrong. As far as they know everything is all good. They want what they want, and they want it now. There is no one else to consider but them. Boundaries are a rude awakening for them. This perspective is normal when they are little. Remembering these truths will help us have compassion for our kids. As parents, we set external boundaries for them to follow so they know what’s okay, and not okay. It takes thousands of repetitions over lots of time, for them to develop their own internal conscience to guide them to do what is right in how they treat others and themselves. When we set healthy boundaries, we want the consequences to teach them about reality. We don’t want shame to cause internal self-hatred. Modeling — Kids learn from watching what we do. We are their primary models for setting boundaries and handling life. They observe how we handle frustrations, get along with others and solve problems. They watch how we take care of ourselves, the language we use, and the way we drive. They watch to see how we handle the daily responsibilities of life. It causes confusion when we tell them, “You need follow through, clean your room, or share with your sister,” but don’t follow through ourselves. Experience – As we follow through with consequences, they will internalize reality. They need to feel the reality that when they don’t clear their dishes, they don’t get dessert. They need us to teach them that actions have natural consequences. This is how life works. We need to give them an environment of reality. If “A” happens, then “B” happens. Without meaning to, we may jump in and rescue our kids from the natural consequences they need to experience in order to learn from their mistakes. If we are too fuzzy with our boundaries, they will go into the world and expect other people to be lax with them too. Sometimes parents put up with behavior that no one in their future life will put up with. Teaching them reality gently will help them to be able to go out into the world, live with societal rules and be successful in life. It’s hard to discipline our children. We love them and don’t want them to be unhappy or mad at us. What helped me stay consistent was reminding myself of the big picture. I parented with my children’s long term character development in mind. If we just look at the moment, we may not understand that the boundary we are enforcing is about developing our child’s character. The boundary I’m setting at age two, is about preparing my child for his teenager years. I want him to learn self-control over many years, so that he is ready to handle peer pressure when it comes. Making sure my daughter cleans up her room is about helping her complete unwanted responsibilities, so she can have a successful career and relationships. With every boundary, I realize I am shaping their character, which will determine the future of their lives. When our son just turned two, he was trying out disobeying. His baby sister was six months old, and he decided he really wanted her toys, even though he knew he shouldn’t take them. I told him that I understood that he wanted her toys, but he could not take them from her. If he did, he would get a time out. Of course, he kept taking them. I followed through by telling him why this was wrong, and put him on a short time out each time it happened. I remember thinking after the third time out, that this could really get out of hand if I didn’t keep on top of it. I didn’t see him as a rebellious child. I saw him as a two-year-old who was developing his sense of self, and realized he wanted some things. Our son learned that he couldn’t take his sister’s toys without experiencing a negative consequence himself. This was the beginning of developing self- control, delayed gratification, and being kind to others. It may strike you as a lot of work to apply boundaries and limits in a consistent and kind way. The truth is it is. I always reminded myself that I could ‘pay now’ by consistently setting boundaries and applying consequences, or ‘pay later’ with a child a few years older who was out of control. The price tag is smaller when they are young. The reality is that our child’s job is to test our resolve so he/she can learn about reality. They don’t know what reality is like. It’s like they are in a maze, trying different things to see what works and what doesn’t. They aren’t usually trying to do the wrong thing. They rely on us to give them a picture of how the world works. Your job is to withstand the tests, and not take the pushing of your boundaries personally. This means knowing your limits, stating the boundaries and consequences clearly, and standing firm to apply logical consequences. Part of the job is to not be surprised when our precious children pout, throw a tantrum, are angry with us or turn away. We give them a gift when we endure their displeasure with us so that they will learn how to be successful, functional adults someday. Nobody’s perfect. It’s better to shoot for being consistent overall. Nobody’s consistent every day. I’m not. It’s okay to apologize when we’re wrong, because that’s how our kids will learn to do this too. Don’t forget the love, empathy, and validation. Setting boundaries is so much easier when we have the attitude that we are teaching and guiding our children rather than punishing them. Make sure the consequence fits the crime. Make sure you use “logical consequences,” not shame, guilt, or anger. Comment on what they did, not who they are (you did the wrong thing, not you’re a bad kid). The younger the child, the more immediate the consequence. Remove them from the situation. Put the toy in time-out. If they’re late for dinner, they might miss dinner. A story will be available at 7:30 to all who have their PJs on and teeth brushed. I’m happy to get you school supplies with twenty-four-hours’ notice, otherwise you’ll have to be creative and make do. If chores are not completed by 5:00 p.m. on Saturday, some of your allowance will be used to pay your sister to do your chores. Snack will be available after you put your blocks away. It’s okay to give extra understanding when children are going through a special circumstance, such as parents’ divorce, separation, new baby, or a parent or child illness. This doesn’t mean you let things go. It means you show them compassion by acknowledging the hard time they are going through, giving them extra time and attention, and helping them follow through. 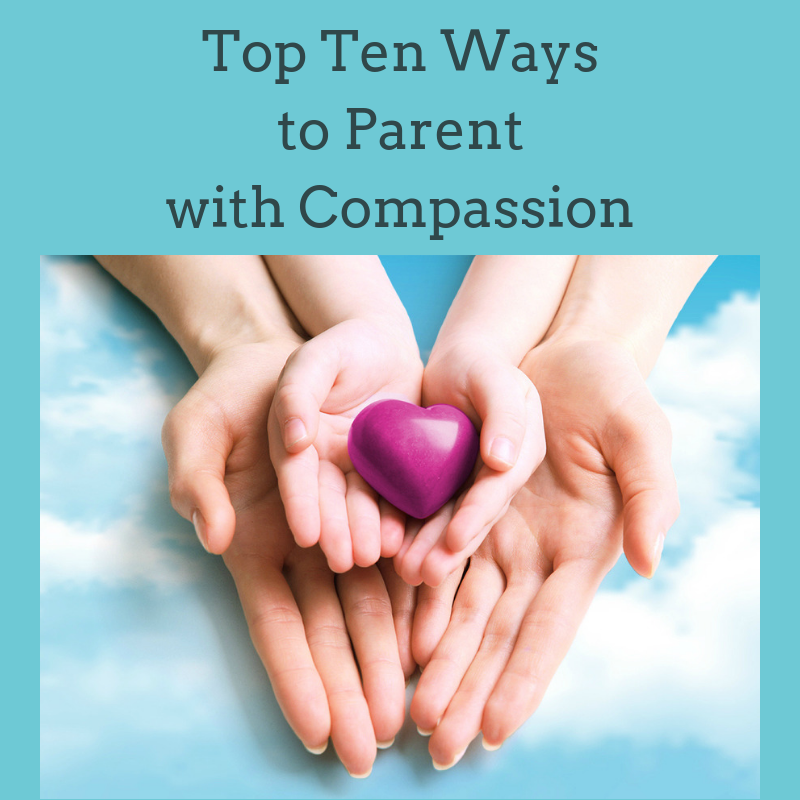 Learning to set clear boundaries with compassion is a very important part of parenting. How we establish and enforce these boundaries also makes a huge difference. It’s not too late to start setting consistent boundaries with your children…and don’t forget the compassion! Do you think it’s possible to set boundaries with compassion? Do you have any new insights on how normal it is for kids (and even adults) to struggle with boundaries? How might this give you more compassion for your children, grandchildren and even yourself? This post was originally shared on Leslie Vernick’s blog. So lovely that your friend had the cake to celebrate your book release. ―Thank you Kim! You say: “It may strike you as a lot of work to apply boundaries and limits in a consistent and kind way. The truth is it is. I always reminded myself that I could ‘pay now’ by consistently setting boundaries and applying consequences, or ‘pay later’ with a child a few years older who was out of control. The price tag is smaller when they are young.” ―I have no children but this sounds correct, ‘pay now’ or ‘pay later’. . . .
*In Anne Wallace’s book: Setting Psychological Boundaries: A Handbook for Women, you would think it is a problem for everyone. Those who can’t respect our boundaries are telling us that they don’t love our “nos.” They only love our yeses, our compliance. They are saying: I only like it when you do, say and act in ways that agree with me, ―what I want you to do or say or be. True intimacy is only built around the freedom to disagree. . . .Looking at my life through the lens of Christian history has made me increasingly grateful to those who pushed artificial boundaries to make the changes from which I have benefited. Comfort zones, safety, familiarity, boundaries, limits, even a God who stays put in a box, that does not move us forward. Moreover, it seems to me that our anxiety does not come from thinking about the future, but from wanting to control it. Controlling others is the cornerstone of dysfunctional families. True love is built on free will and free choice, not control and manipulation. If you have control over yourself, you probably have little desire to control others. Also, it could be that the only real conflict you will ever have in your life won’t be with others, but with yourself. If you have boundaries with yourself (―internally) that will cycle out into your outside world. I would say leave your pride, ego and narcissism somewhere else. Reactions from those parts of you will reinforce your children’s *most* primitive fears. . . .But again, I don’t have children so I don’t know. But I think the parent’s job is to make the rules. The child’s job is to break the rules. The parent then corrects and disciplines. The child breaks the rules again, and the parent manages the consequences with compassion and empathy that then turns the rules into reality and internal structure for the child. If we want to live an authentic, meaningful life, we need to master the art of disappointing and upsetting others, hurting feelings, and living with the reality that some people just won’t like us (―Kim, I hate myself when I do that but it is so important to do.) It will not be easy, but it’s essential if we want our lives to reflect our deepest desires, values, and needs. Excellent post and definitely worth putting into practice by those starting families or that are currently rearing children. They do turn into teens before we know it, and without boundaries and consequences, those teen years can be disastrous. The book-cover cake is so thoughtful and pretty! What a nice touch by your friend to help you celebrate your book. Praying that you have a blessed Thanksgiving. I am thankful for you!